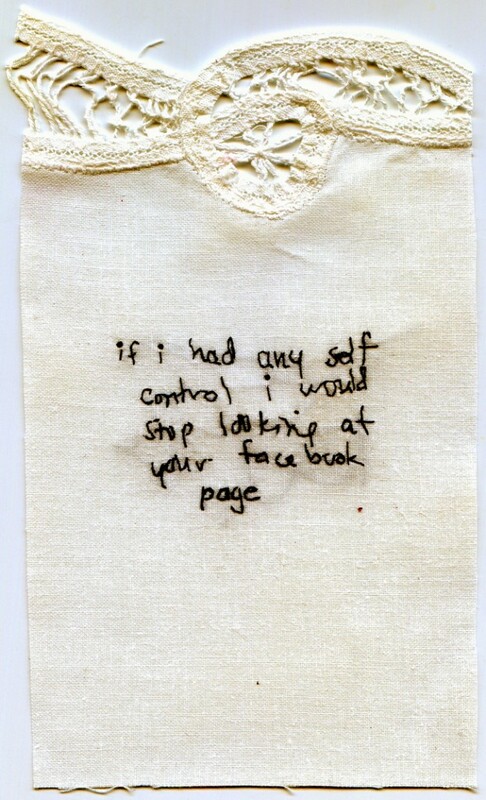 “if i had any self control i would stop looking at your facebook page.” 2012. Embroidery on fabric. Borrowed text. 7″ x 4″.